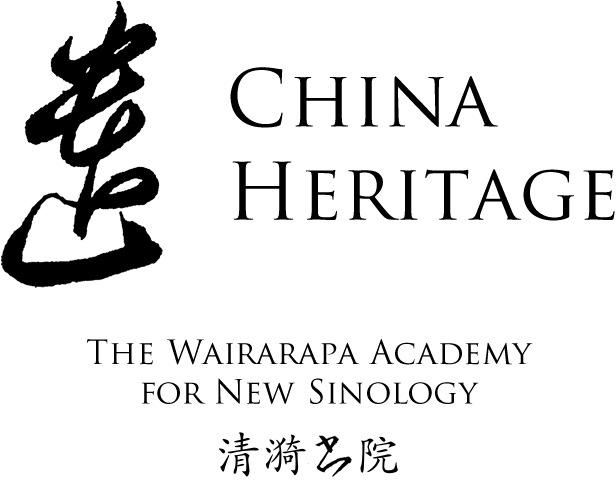 Editor of China Heritage and co-founder, with John Minford, of The Wairarapa Academy for New Sinology. Born in Sydney in 1954, I went to Canberra to study Sanskrit, Chinese and history at The Australian National University (ANU) in 1972 and then to the People’s Republic of China in 1974. I worked as an editor and translator in Hong Kong from 1977 and began a part-time career as a writer of Chinese essays in 1978 (continuing until 1991). After returning to Australia to study Japanese intensively, I went to Japan until 1983 after which I began doctoral research under my undergraduate Chinese teacher Pierre Ryckmans (Simon Leys). During the 1980s, I continued to pursue a part-time career as a writer for the popular media and as a translator, as well as working on various projects with John Minford. I was awarded a PhD in 1989 and began a research career as a post-doctoral fellow at ANU. I stayed at that institution until my retirement in 2015. My work as both an academic historian and a China specialist from the 1980s has pursued an interdisciplinary approach resulting in monographs, chapters, refereed articles, keynote addresses, conference presentations, films, websites and a range of major public outreach activities. My career has also been distinguished by a series of successful, long-term and highly productive collaborations with scholars and writers in Australia, China (including Hong Kong), North America and the United Kingdom, as well as with filmmakers in North America. For nearly three decades these collaborations have resulted in a diverse range of academic and popularly accessible publications and other works recognized by peer evaluation, specialist comment and popular approbation. Through the writing of ten monographs, two volumes of essays in Chinese, the editing of five edited books, three volumes of translations, two documentary films and the design and writing of two archival websites, the creation and editing of an e-journal, as well as nearly two decades as the editor of a prominent journal on East Asian history, through the publication in the Australian and prominent international media of numerous essays, articles and think pieces I have created an academic oeuvre of considerable range and quantity. Throughout I have felt it incumbent upon me to bring my scholastic expertise into the broader realm of public debate, public policy discussions and popular understanding, be it in Australia, or more broadly. I have done this both through the medium of English-language writing, briefings, consultations and media activities, as well as in Chinese, and through the translation of my work into Japanese and Spanish, and my films into French and German. Early collaborations resulted in such works as Trees on the Mountain (1983), Seeds of Fire (1986, 2nd ed. 1988, 1989) and New Ghosts, Old Dreams (1992), and prominent film and website work, The Gate of Heavenly Peace (1995; www.tsquare.tv) and Morning Sun (2003; www.morningsun.org). The founding of the China Heritage Project and the e-journal China Heritage Quarterly in 2005 allowed for a broad new range of collaborative possibilities with established and younger scholars in Australia, China, the UK and North America. Many of the ideas I formulated from the 1970s were brought into focus by my creation, with Kevin Rudd, then prime minister of Australia, of the Australian Centre on China in the World at The Australian National Univeristy in 2010. I was able to pursue that vision until retiring from formal academic life in November 2015. My own monographs such as Shades of Mao (1996) and In the Red (1999), An Artistic Exile (2002) and The Forbidden City (2008), refereed journal articles, book chapters, keynote addresses, speeches to professional organizations, government leaders, analysts and diplomats, research-led curriculum development and teaching, as well as a public engagement, are added to by work introducing Chinese ideas, thinkers, academics and writers to English-reading audiences through such works as China Candid (2006), The Rings of Beijing, and numerous other translations.